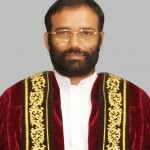 The Court of Appeal issued notice on Vice Chancellor of the Sri Jayewardenepura University Professor L. M. N. A. Karunaratne, the Dean of the Faculty of Social Sciences and Humanities, Professor C. L. K. Navaratne and 18 other respondents, ordering them to be present in Court or be represented by a lawyer on March 11, 2014. The aforesaid notice was in respect of a Writ Application filed by a student, Ven. Kimbulawe Chandrarathana Thera. The petitioner student has said that his studentship was cancelled by letter dated January 24, 2013 from the Vice Chancellor, who had said that the petitioner had been found guilty of assaulting the Head of the University and some staff members. The VC cancelled the studentship of the student monk, the petition says. But, he was allowed to sit the final year examination in February 2013. The results of the other students were released. But, the results of the petitioner has not been released. The petitioner has requested the Court to quash the cancellation of his studentship. He has said that the disciplinary board had not allowed him the right to explain his position. The petitioner has also requested the Court to order the respondents to release his results. Wijedasa Rajapakshe P.C. appeared for the petitioner.The bench comprised Justice Anil Gooneratne.